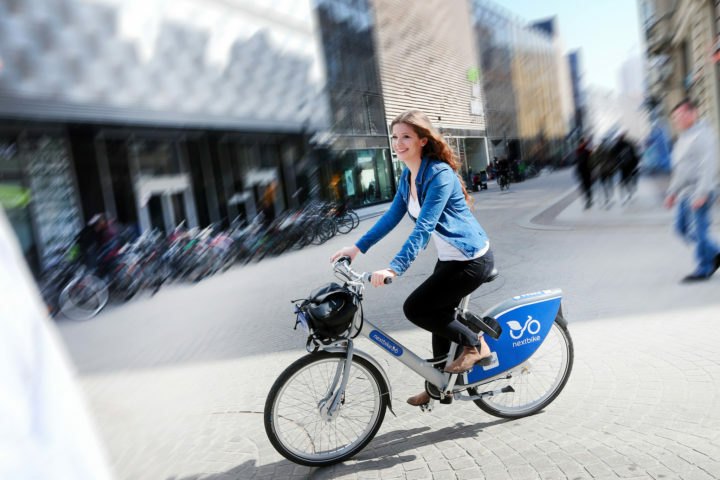 nextbike GmbH from Leipzig - according to their own statement being Germany's largest bicycle rental provider and European market leader - announces that 40,000 new bicycles will be manufactured by Sachsenring Bike Manufaktur GmbH in Sangerhausen this year. „We are very glad about the cooperation with Sachsenring. However, we also still assemble our bikes in our own production facility in Leipzig. The demand for our bike sharing system is immense. Our order books are full to the brim“, Ralf Kalupner, CEO and founder of nextbike GmbH, says. “In order to be able to further on serve this growing international demand, we have found a strong partner in Sachsenring Bike Manufaktur, which has both know-how and large production capacities. The short regional distance is also very helpful to rapidly coordinate and discuss issues. Furthermore, it is also important for us as a customer that Sachsenring Bike Manufaktur understands and reliably implements the special quality requirements in the production of rental bikes”, Ralf Kalupner added. More than half of these bikes intended for the German and European market are e-bikes.